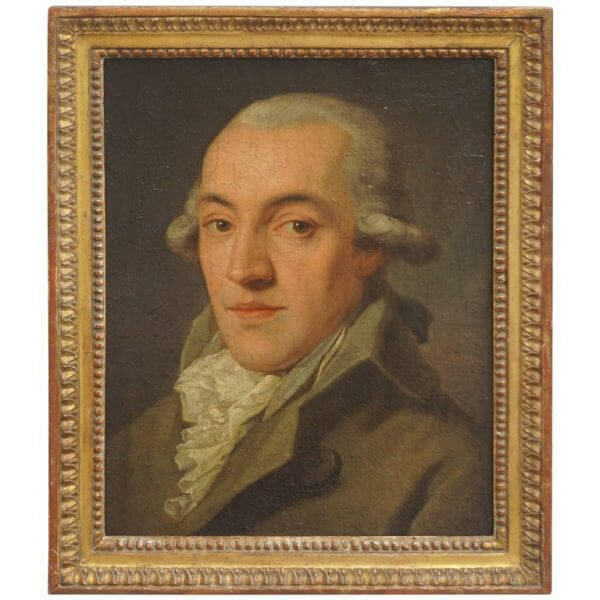 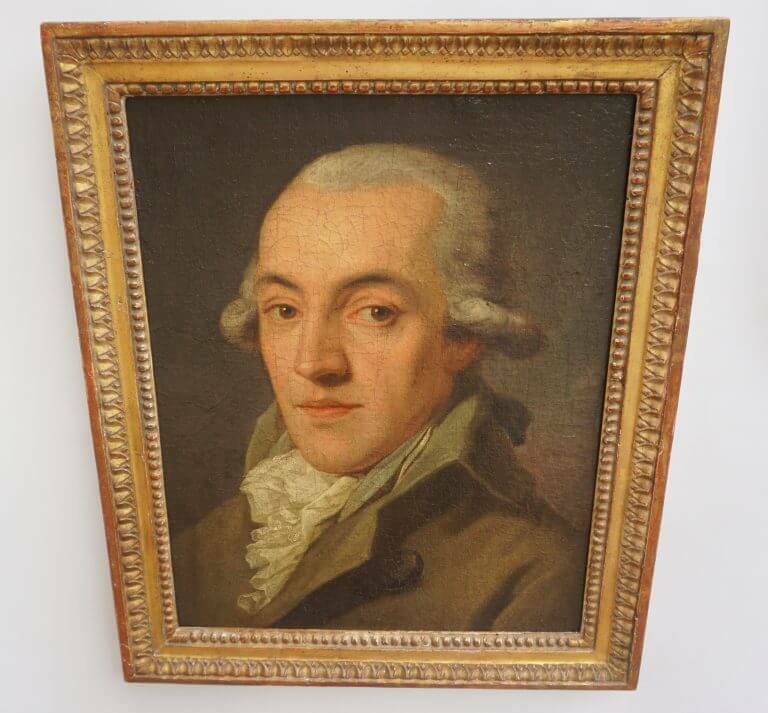 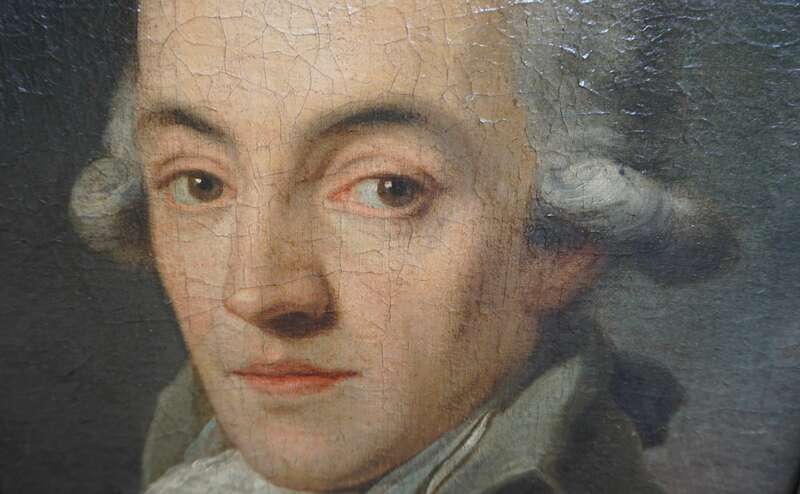 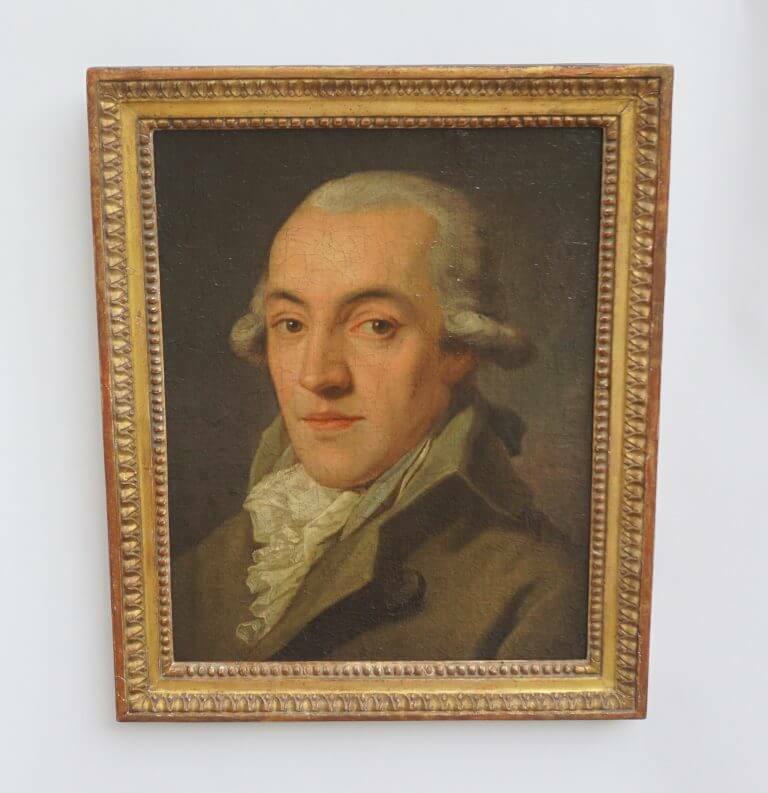 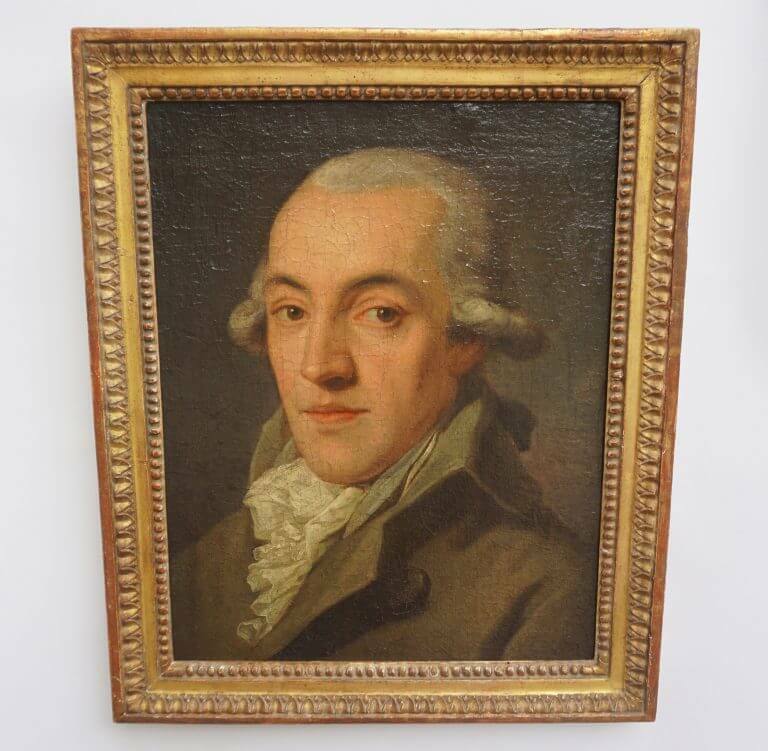 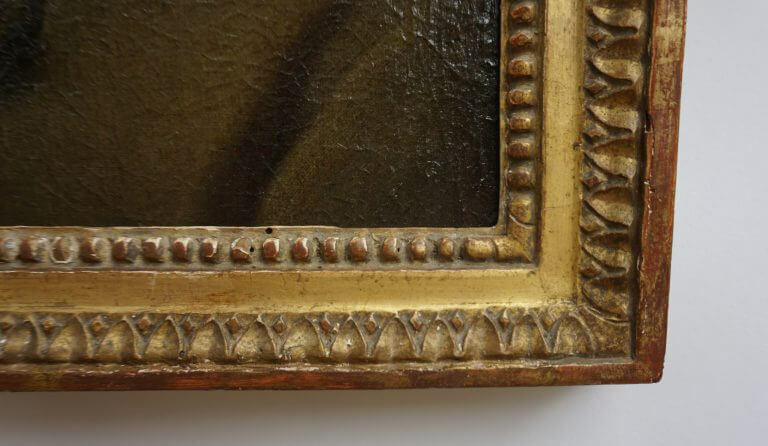 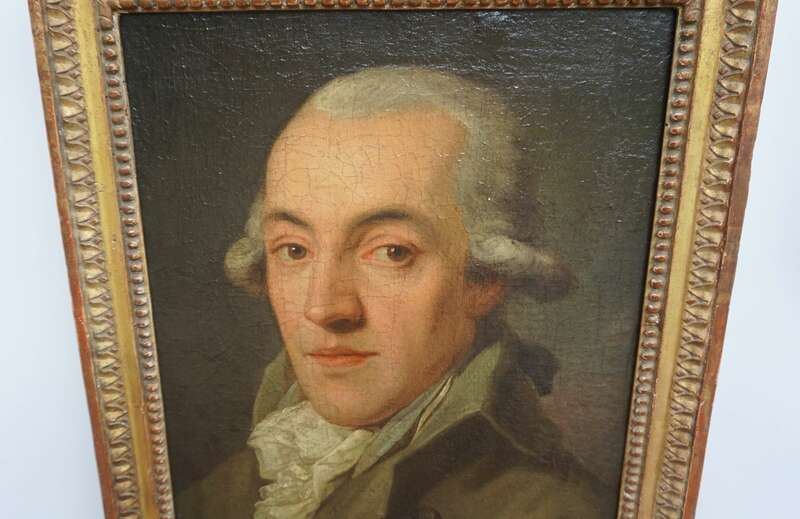 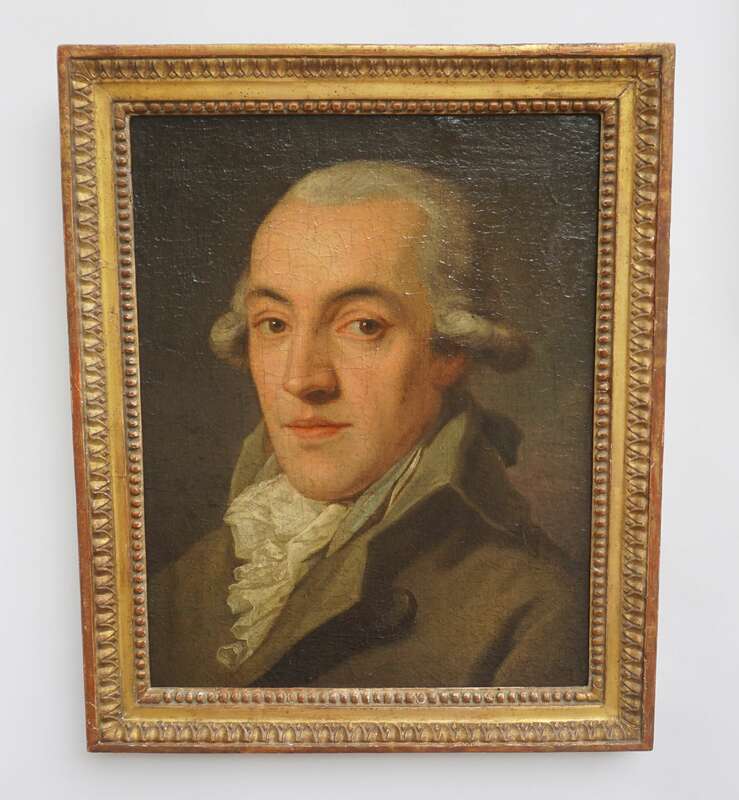 Circa 1780 oil on canvas portrait painting of a gentleman in powdered wig, coat, waistcoat, and frilled shirt housed in a period giltwood frame having bead and lamb's tongue design. Red wax seal collection stamp and paper label to the back with the sitter's name, Carl Nyary and Prag (Prague), which was then part of the Habsburg (Austrian) Empire. 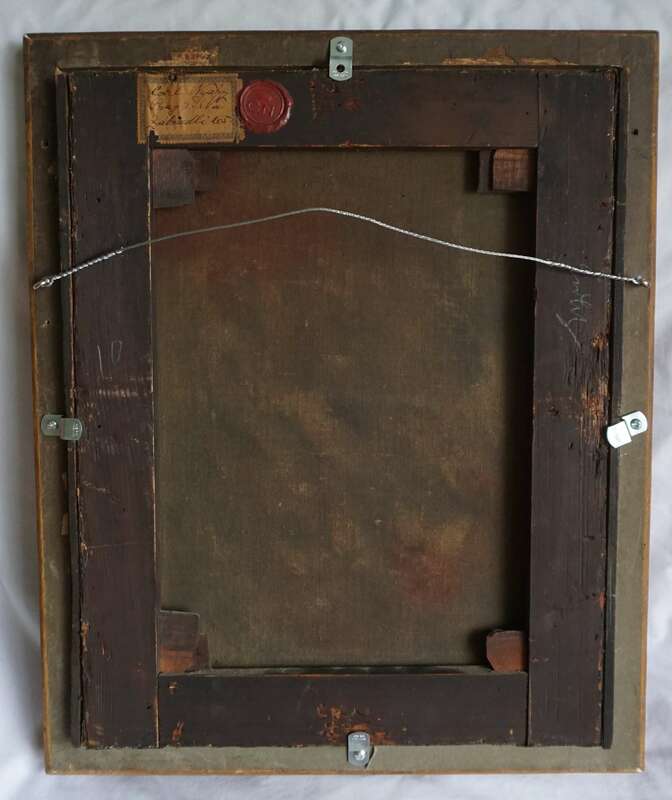 Canvas measures 15.63" by 12.88". 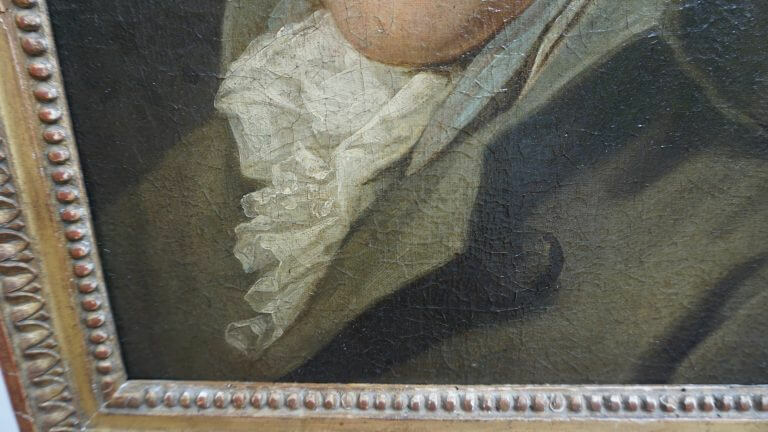 Circa 1780 oil on canvas portrait painting of a gentleman in powdered wig, coat, waistcoat, and frilled shirt housed in a period giltwood frame having bead and lamb’s tongue design. 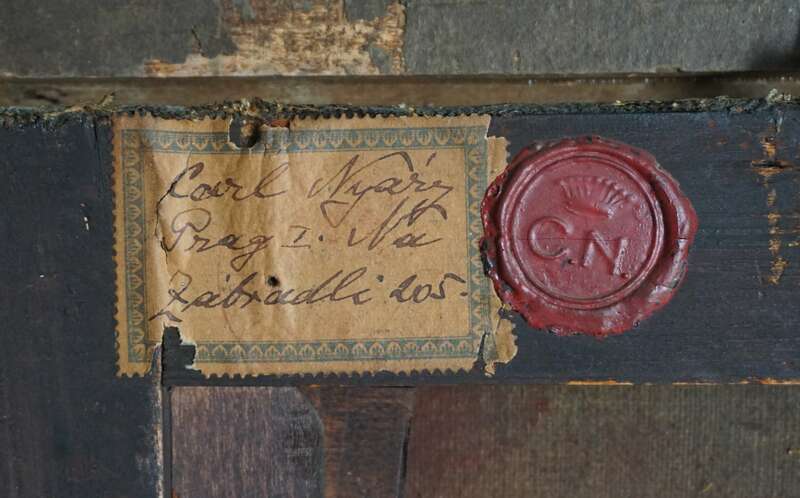 Red wax seal collection stamp and paper label to the back with the sitter’s name, Carl Nyary and Prag (Prague), which was then part of the Habsburg (Austrian) Empire. 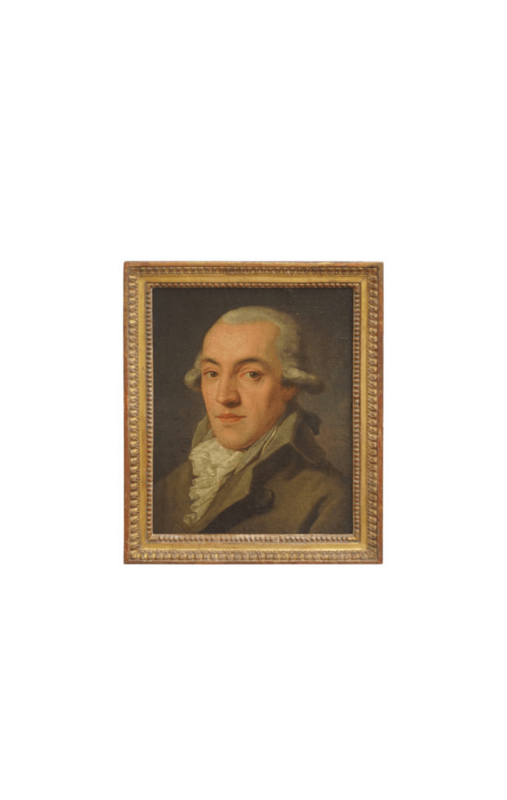 Canvas measures 15.63″ by 12.88″.